Giving Mars a rest can be rewarding! 1. Stop rather than start something new. Mars rules Aries, those energetic self-starters, wired to go get it now, whatever “it” is. When Mars is retrograde, it’s better to contemplate what you might want to stop doing rather than start. In the sign of Virgo, begin with the one of the things Virgo is famous for, namely habits. Habits are what we do with repetition and little thought. What are you doing mindlessly or obsessively that you know is better for you not to do at all—or at least to lessen? Apply this to other Virgo key areas of interest, such as health and communications. 2. Review your desires and impulses—and how they get you into trouble. Mars is the planet of passion and wanting. This doesn’t just apply to your hormones. How do your longings serve you—or not? Are you obsessing over a lover, money, fame or other cravings? How about food cravings, given Virgo’s affiliation with diet? Stop for a quiet, objective review during this period and see what happens. Try de-emphasizing those desires or giving them a rest during the retrograde period. If you can’t control your impulses, become more aware of them so that you can take action, perhaps in a different direction, when Mars moves forward and you’re ready for it. What evolves? 3. Look at where Mars Retro falls in your chart. This will make its influence more specific to an area of life and to the aspects it makes to your personal planets. Some examples: Mars Retro in the 1st may ask you to stop and look at how you’re “putting yourself out there.” What does your first impression look like out in the world, whether it’s your physical face, how you dress, or your posts on Facebook or Twitter? In the 5th, you may want to stop and review what you’re creating. What are you doing, overdoing, or under-doing with your creative energy? And so on ‘round the zodiac. 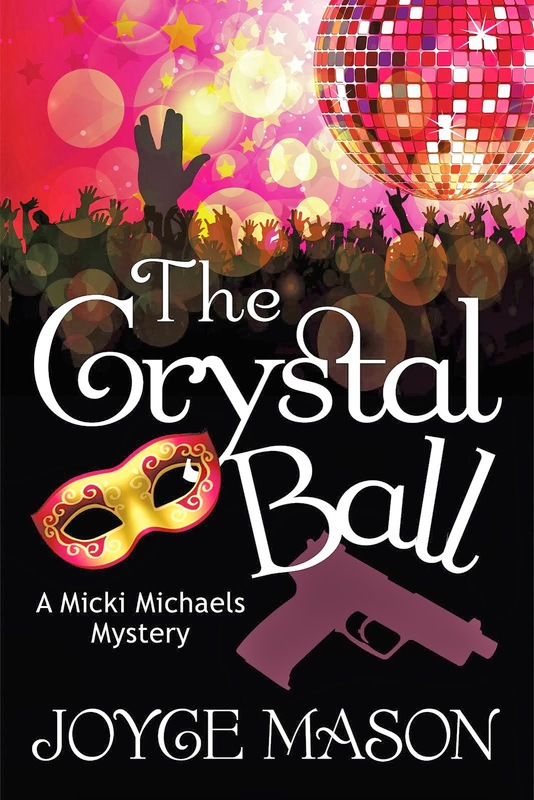 Turn you Inner Investigator loose on your “do” in this house and area of life. What changes would serve you better? 4. 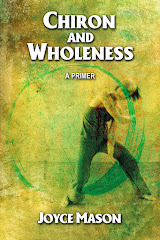 Check out your relationship with physicality. I was discussing with a friend and colleague recently how many athletes have Mars Retrograde in their natal charts. I’ve been contemplating that fact while considering this upcoming Mars Retro. Since retrograde planets often reflect an energy expressed in a more inner than outer way, I’ve come to an interesting hypothesis. Mars Retro may be an expression of someone wired for movement and action. Having this inner drive for motion, action, even aggression and competition may fuel the drive to express it outward via athletics. What better channel? (Beats beating up on people!) I suspect that Mars Retro, by transit, may not give us the same feeling as the more personal natal type. However, it may grant us a period where conditions are more conducive to feeling Mars more acutely in our bodies, especially when Mars is in an Earth sign, as it is in the current retrograde. Our bodies are the Earth element. Experiment with feeling the Mars inside you, first, then how it craves expression in the outer. 5. Analyze how you make the choices that precede action. Actions result from decisions. How are you doing with discrimination in the choices you make (Mars in Virgo)? For everything we do, we made a decision to do it. We live more and more in a world of a million options, every second of our waking day. Modern communication tools bring us nearly endless opportunities. We know the old saws—there are many spins on the same idea—Think before you act. What is your Mercury to Mars connection? How do you come to your decisions about taking action? 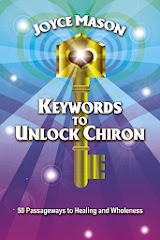 Need any revamping on the circuitry between idea, analysis and action? Reflect on these patterns and whether they are serving you. 6. Review your relationship with anger. Do you blow your top a lot? Hold in your rage and suffer illness because you let it seethe? How can you find ways to express anger in a healthy, productive way? As the wonderful quote in Ecclesiastes tells us, To everything, there is a season. Anger is. What we do with it is good to contemplate when Mars is in retrograde. In Virgo, especially consider angry words and communication patterns. Pay special attention to passive aggression—that nasty look or snarky sarcasm. 7. Examine your patience. Do you have too much or too little? (A friend once told me I was ridiculously patient, and she wasn’t far off during an era of my life when I was short on boundaries and too long-suffering.) Mars is about going for it, but sometimes it’s the season for rest. It’s winter here in the Northern Hemisphere, and that’s a fact. Mars Retro gives us an opportunity to look at how we handle being in harmony with nature rather than with what we want—now—regardless of other considerations. I love that most of the Mars Retro cycle this time precedes spring. But it remains Retro for the first few weeks after the Spring Equinox. Given that, you might want to ease into your new beginnings, even though spring is the right time for them. By mid-April, the timing will be better for launching your new projects. Don’t hurry, even then. Mars Retro will have a “shadow” just like Mercury Retro. You’ll likely feel its afterglow till June. 8. Take the pulse of your vitality. Mars is highly connected to our physical energy and life force. Depending on your natal Mars configuration, you might be naturally energetic or like that commercial with the two adorable tortoises, a Mr. or Ms. Slowsky. Are you happy with your “juice?” Is it up to par or do you need rejuvenating? Again, with Mars in Virgo, look at what health habits you need to keep your engine running in top form. It’d be a great time to go to a spa, to give your Mars a vacation and your energy a booster shot. 9. Get more intimate with you natal Mars. Is your natal Mars retrograde? How do you feel during Mars Retro? It may be different from those of us with Mars direct. What is the element of your natal Mars? If it’s in water, it may feel a bit like it’s retrograde. Whether its fiery, airy, or earthy, how does the Martian energy play into how you operate? Pay special attention to things like Mars angular (1st, 4th, 7th or 10th houses) or in its own sign of Aries or Scorpio (co-ruled with Pluto). My own Mars is in Water (Cancer), and it’s my only angular planet (on the IC). It trines Jupiter in Scorpio. What could otherwise seem like a watered down Mars principle is actually big in my life. I’m Marsy enough that many people mistake me for having Aries Rising. Don’t take too seriously the classic interpretations of your Mars position. Discover what your Mars means to you with an open mind and a commitment to express its highest possibilities. 10. Look at your relationship with the masculine principle. Do you “have balls” when you need them, whether you’re male or female? Are you a good leader, initiator and extrovert—when its called for? Can you win when important principles are at stake? 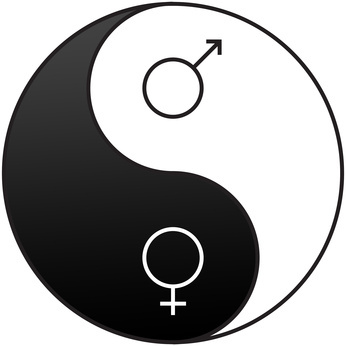 Ideally, we balance yin and yang, masculine and feminine in our lives. The reason the yin/yang symbol has a dot of the opposite energy in each half is that we all need both energies to function as whole human beings. 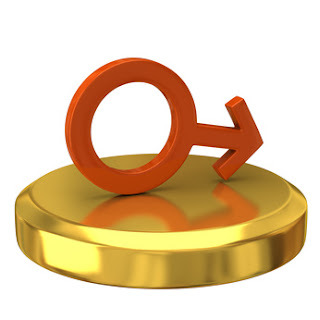 Mars Retro is a great time to rest with your male energy and look at how you’re working with it. Is it hostile? Accident prone? Selfish? Or does it have some of the more enviable qualities of Mars like drive, excitement, and strength? I get a kick out of the fact that the Mars glyph looks so phallic. It reminds us that to take action, we need to point our male energy in the direction of where we’re going and just do it, as the Nike commercial says. But remember this. All those Viagra and Cialis commercials warn about too much of a good thing. You can harm yourself with too much for too long. Users of male enhancement drugs are warned to get themselves to the emergency room if the drug is effective for too many hours. This also applies to Martian energy in general. Too much testosterone, drive, anger, impatience—it can all lead to flashing lights and the emergency room. There are many other qualities of Mars we could take retrograde this cycle for learning: jealousy, ego, and impetuousness, to name a few. While the motto of The Radical Virgo is live on the upside of the zodiac, we still have to be realistic about the fact that Mars Retro can make us more accident prone, if we refuse to slow down. I’m going to repeat one thing I said for Mercury Retro that applies to both planets in retrograde: Quit running around so much. That’s hard for most modern people. One profession considered ruled by Mars is law enforcement. I can’t help but think of that positive and nurturing sergeant on Hill Street Blues. After every roll call and before he sent his officers out onto the streets, the Sarge said, Let's be careful out there. We can’t quit living during retrograde cycles, but if we’re smart, we’ll stay in rhythm with them and “do less” for this 2.5 month cycle. It only comes every couple of years. Don’t miss this opportunity to meditate on Mars and celebrate it! Mars stationing 13 minutes past my Sun in 12th. Been feeling physically terrible for days but this morning was the worst. Ugh. I love the info about the suffragettes. Thanks for sharing! Makes sense that they'd have Mars Rx. Hope you feel better, and thanks so much for stopping by and commenting. thanks for this post. it made me think quite a lot. sorry if this isnt totally coherent, but i just want to write something..
i have a very direct mars in scorpio 2nd house, sextile virgo sun/leo moon, trine cancer mc/gemini jupiter. with my libra venus conjunct libra ascendant, im sort of a very gentle totally alpha male. on a mundane level, the two things i get most satisfied from, is singing and deep physical/mental contacts, which of course also both lead directly to other levels. i love peace, harmony, beauty, nice manners, and then i thrive on impossible missions, the tougher the going the better. ive spent a lot of time finding it hard to make those energies meet up, disliking my huge sexual drive, my hypnotic seductive force, and also being scared of my animalistic physical strength, thinking it was all not very nice. but it is there, and it certainly hasnt kept me away from enjoying carnal pleasures, but the fear may have kept me from exploring my real potential. and it works, i love being a sensual, sexual lover and singer, and my partners seem to totally enjoy my company. i always try to behave like a gentleman and i try to be extremely conscious of the extreme energies i have, in order not to manipulate my partners into doing something that they would later on wish they hadnt done. maybe touching borders, but not crossing them, if they are not ready, and then it seems to work. also, the same concentrated energy can be applied being totally gentle, which of course is just as intense a sensation. or in music, singing a soft song really beautifully requires at least the same huge concentration and pure flow of energy as pouring out loud screams. mars retrogrades in my 12th house, where my pluto/uranus conjunction is placed. pluto is also at the moment squaring my natal venus. i find it difficult to see what is plutonic energy and what is martian, but it is certainly a very exciting time. Hi, Mads! I always love hearing from you, and I'm glad my Mars "Retrospective" (LOL!) was evocative for you. What I love about what you wrote is how you've blended the best of energies that could have otherwise continued to strain to become compatible--and expressed them in your own inimitable style. I really encourage this in my clients as an astrologer, and bless that palm reader who "got" who you are and helped you see the energies with more neutrality. Self-compassion and setting aside self-judgment of one part of ourselves by another are the crucial life skills we ultimately learn as we mature. Without them, it's impossible to become fully realized--from the seed of our potential to the full bloom of our most magnificent selves. 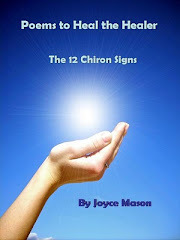 thanks Joyce for the encouraging words, both venus and mars rest happily on your laurels. it seems like the socalled demons make the most trouble when they are bored in their closets. knowing that they can be constructive and playful partners make all the difference. and no need to be humble in your opinions about squares and other challenges! i hope you'll find time to attack the upcoming pluto uranus square some time this spring, i'm very excited about what that will bring about. Great post, great blog, just advertised on Stumble! :-) Thanks! Hi, again, Mads. Sorry to be long in responding. I've been under the weather--and Mars Retro retreating! I'll ruminate on the Pluto/Uranus Square and see what happens. When Uranus is in the mix, that could be anything. Don't know if you're old enough to have seen the original Mickey Mouse Club, or if they aired it there. They had theme days, and one day was "Anything Can Happen Day." With Uranus in a major aspect configuration, it's Anything Can Happen Season. Three things that repeat now from the 1960s are Pluto/Uranus heading for close aspect (conjunct in Virgo back then) and Chiron in Pisces. My husband just said yesterday that he hadn't seen unrest like this in the US since then ... but I can't help but think of the incredible changes that unrest led to. I share your positive outlook, though getting there might be a little wild and woolly at times. Louise, thanks so much for taking time to comment. The entire globe seems to be spinning faster, and giving ourselves permission to slow down is essential to the health of our mind, bodies and spirits--and our planet. Being a Virgo, I've had a lot to learn about self-compassion versus some of those other Virgo self- things like self-criticism, self-doubt, and self-esteem. If we can learn to love ourselves and treat ourselves well, peace on earth would be reality. Have a rich Mars Retro! Anne, thanks for your comment! Glad you liked the article, and thanks for sharing it. Every blessing! that sounds really good. i was born in 65, so i have the virgo pluto uranus conjunction opposing saturn and chiron in pisces. and i guess a lot of that influence will be activated by the square. the first time pluto and uranus clash, it'll be in direct square/opposition to my venus and i secretly expect to be catapulted to extreme fame this july (please don't tell anyone). i read somewhere that some astrologers compare the retrograde mars to a neptunish 12th house journey. i don't know what you think about that. in my case that would be a double neptune whopper, delightfully spiced with pluto, uranus, saturn & chiron, what more could a guy wish for..
Mads, you are so PUNC-Plutonian, Uranian, Neptunian and Chironic! I love how you are willing to dance with the outer planets ... and, of course, to sing. I see validity in the idea of Mars Retro being like a 12th House Neptune journey. Pure Mars is Aries/1st and if Mars steps backwards, he's in the 12th and all it represents, including its ties to Neptune. It all makes sense to me ... and I am enjoying the retreat a lot, even these peeks out just to get the mail. yes, i read all your PUNC articles a while ago and i could very much identify with it all. 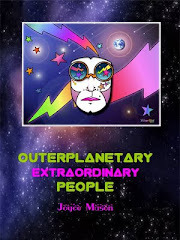 but i also feel very much like an inner planet person, all my inner planets are interaspected and so are all my outer planet, the only connection between them is a really fat mercury-neptune square. it's like having an inner high way with the mercury-neptune bridge as instant access to the outer high way, and otherwise they live their very separate lives. Mads, I really like your insight here: "It's like having an inner high way with the mercury-neptune bridge as instant access to the outer high way, and otherwise they live their very separate lives." 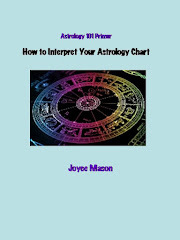 What a helpful way of looking at your inner and outer planets and how they connect. You have a very unique way of looking at things and write well. Consider writing a guest article on The Radical Virgo. E-mail me, if interested, to discuss further: joyce [at] joycemason.com. My natal Mars is retro in the 12th house... in Gemini, which is my Ascendant as well. I'm glad this post helped! I have Mars in Cancer on the IC, and I have had a lifetime challenge with this issue. Especially since my Mars trines Jupiter in water, when I finally blow, it's frightening. What I have learned--and I even saw a favorite priest demonstrate it in a real-life incident: It is not unspiritual to say you are angry with someone, to express your honest emotional reaction. Bottling it up till it reaches volcanic proportions is what can cause damage to both you and others. Honest expression of any emotion is spiritual because it comes from your spirit of truth. The trick is to learn to do so without shaming, naming or blaming--and owning your emotions. I'm angry is so different from "you make me angry." I wish you luck and love with this! I recently blew up at a clerk in the pharmacy which gave me a reminder of how I still have work to do. :) We're just human, and it's even spiritual to "blow it." After all, we're spirits having a human experience.